As a philosophical architectural and heritage practitioner I am starting this blog to share information regarding events and concerns involving the built environment, but will probably be more partial to its poetic qualities than its quantitative value. 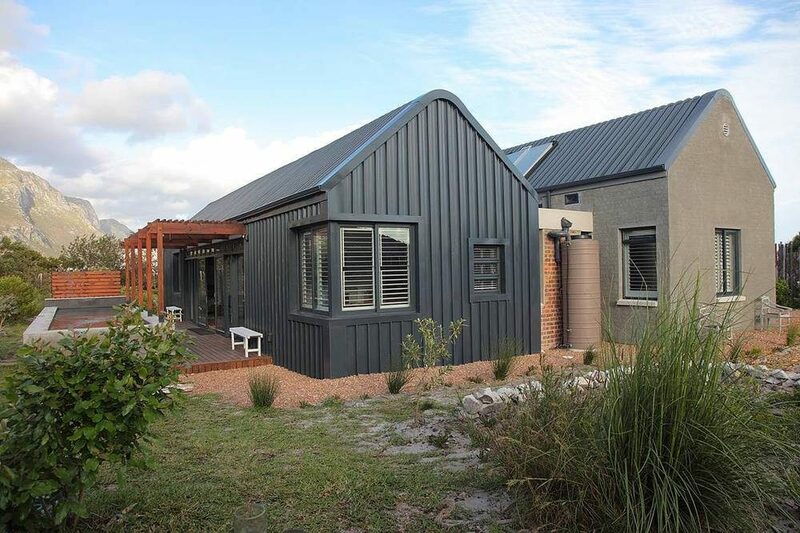 This single residential dwelling in Betty's Bay expressed as an adapted double barn, is a contemporary re-interpretation of Cape vernacular architecture through its longhouse footprint and gable ends. The internal planning and design is a study in open plan functionality, spatial flow, light and continuous connectivity with context. Its form – with specific reference to the cranked roof ridge line – was inspired by the topography of the Klein-Hangklip mountains.